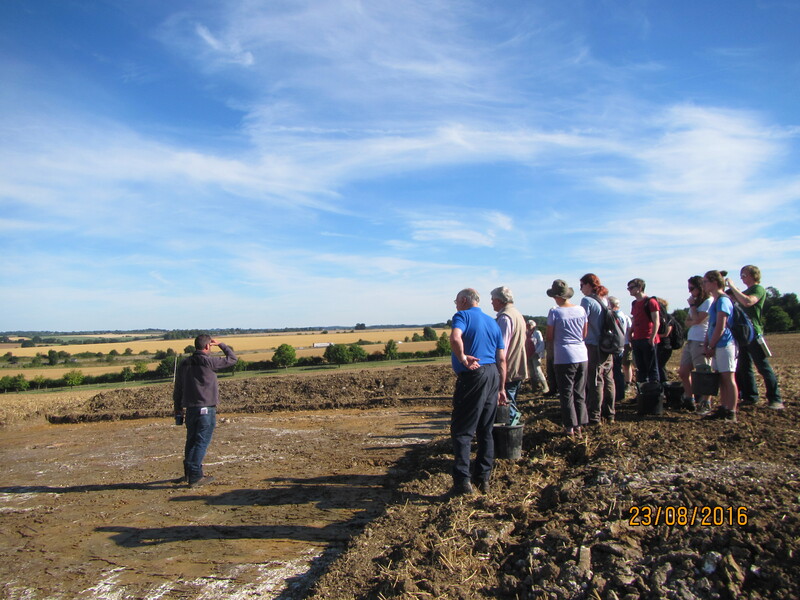 On a sizzling day at Wyfield, 28 volunteers turned out to listen to an initial briefing by Cotswold Archaeology. 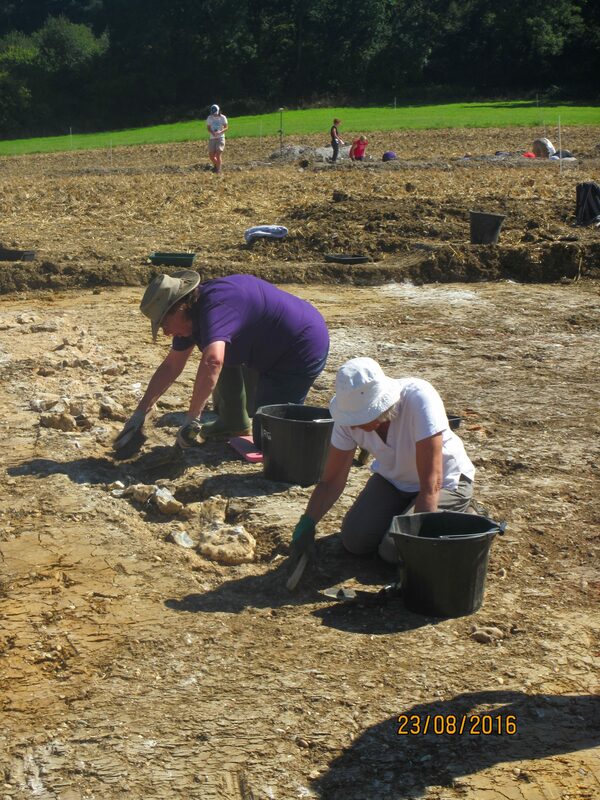 Nancy and Barbara uncover a flint wall in trench 2 after the trench has been cleared back. 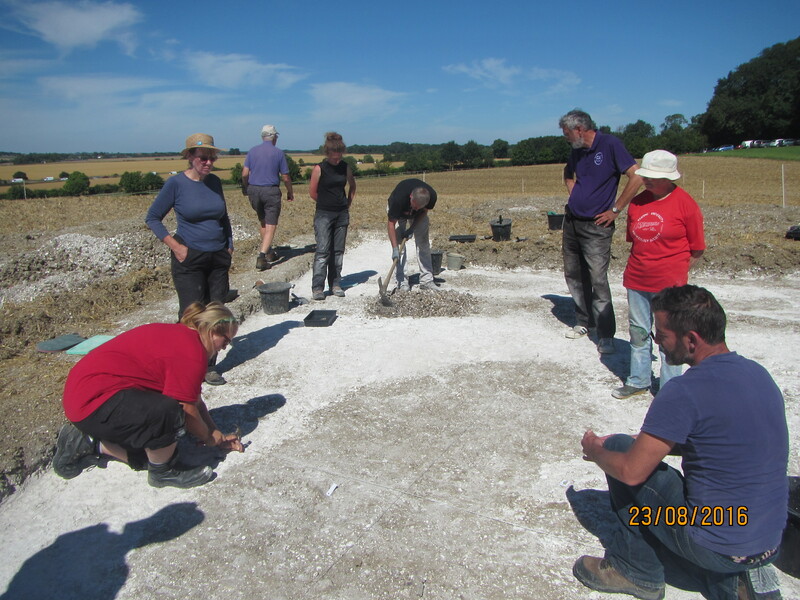 Meanwhile strange shapes possibly pits are being uncovered in trench 1 – these are marked out for excavation.